It all started with the eggs, says owner Tanya Clancy, who owns the shop with her husband Kevin Clarke. They found selling their free range eggs at markets and retail outlets wasn’t cost-effective. So Tanya dreamed up the idea of the Farm Shop. They found the right premises – and an “amazing” landlord – in the old dairy factory at Gordonton, northeast of Hamilton. 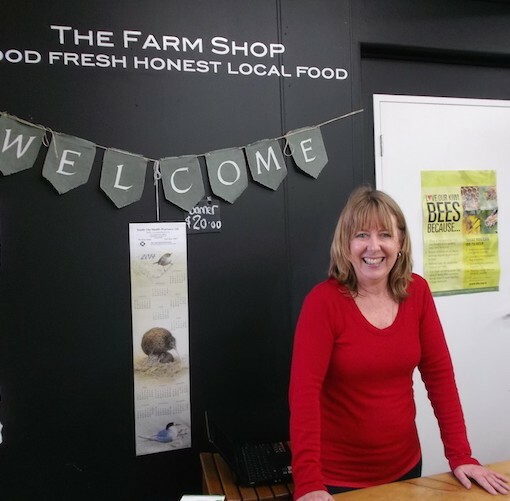 The Farm Shop has an interesting business model – Tanya describes it as a co-operative in the English farm shop tradition. The suppliers, or partners, rent a space in the shop to sell their own produce. They started with 20 partners, and now have 60. They’ve been going almost 18 months now. Their landlord helped them expand the business by knocking out a wall, which doubled the size of the shop. Tanya’s in the shop on Fridays. The rest of the week she works as a national sales and marketing manager for a company that deals with supermarkets. 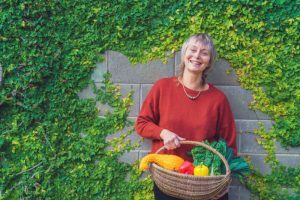 With a foot in both worlds, she understands the value of local, seasonal food, and also the value of supporting the local economy. The other family member who is often to be found working in the shop is Tanya’s mother, Yvette Todd. “Without mum we wouldn’t have this shop,” says Tanya, with huge gratitude. As I stand talking to Tanya there’s a steady stream of customers, many of whom are regulars. Word is obviously getting round. The produce is all spray free, and Tanya knows all the growers personally. Because it’s local, it’s seasonal, Tanya says. And you won’t find bananas or pineapples here – if it doesn’t grow in the greater Waikato, she won’t stock it. 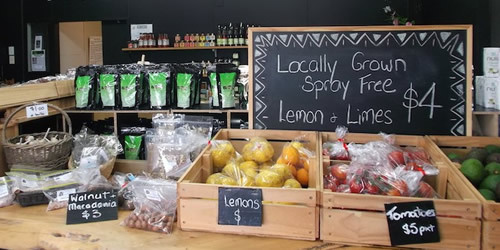 The Farm shop doesn’t just sell fresh food – there’s a large section of preserves, honey, chili sauces and baking; fudges and sweets, and herb teas. I even found locally made corn and rice cakes, and Waikato-produced olive oil. And there are there are local crafts and hand creams and other gifts. I could easily stock up for Christmas here. I have a great reason to visit Gordonton more often from now on.